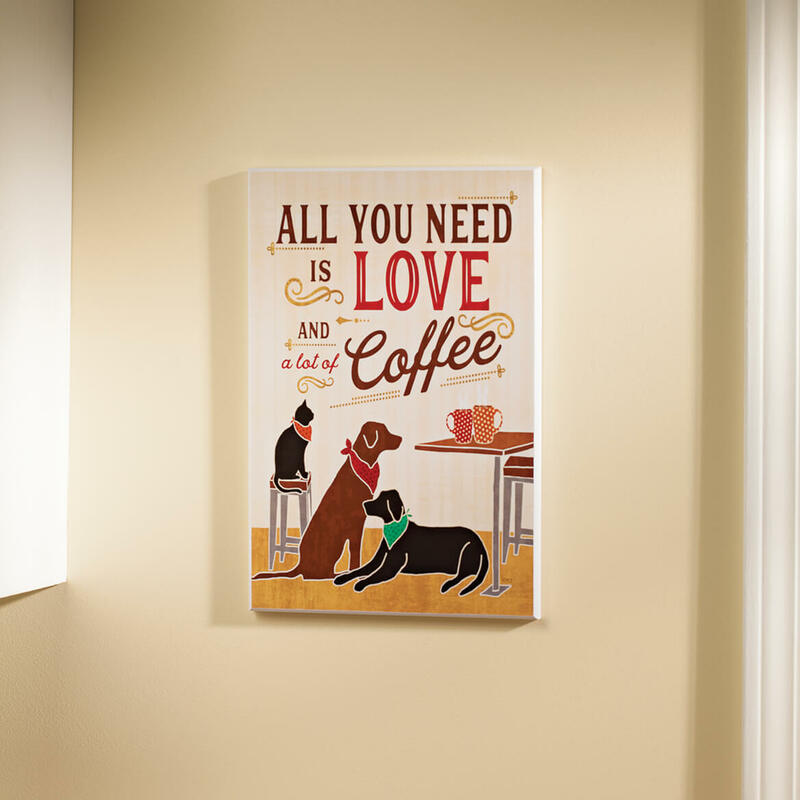 I hung this picture in my kitchen near my "coffee station" . So adorable! 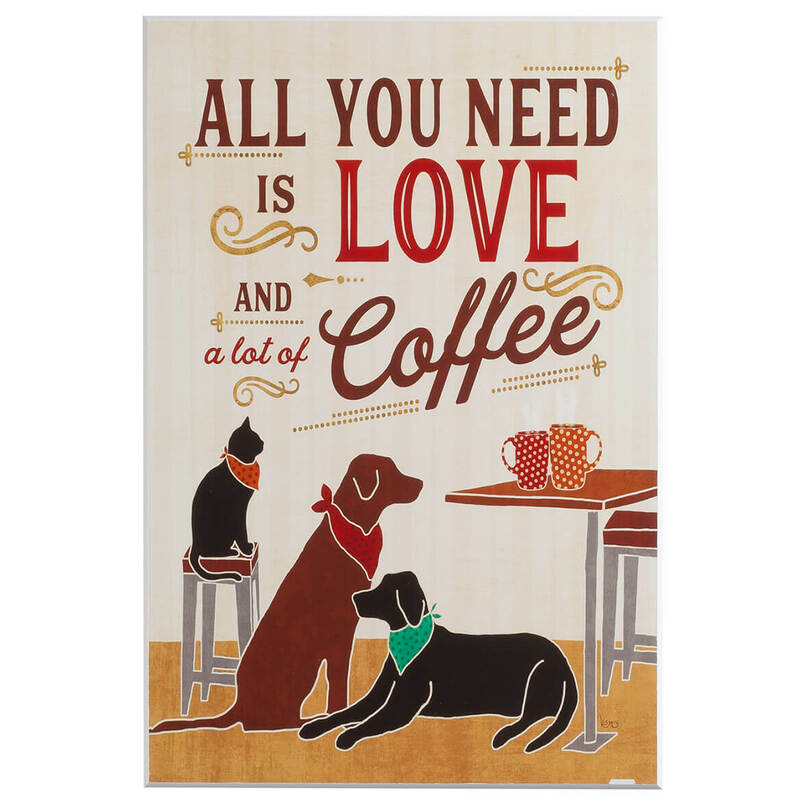 I love dogs and coffee. I thought it was cute and will match in my kitchen with other stuff I have ordered in past. BEST ANSWER: Thank you for your question. It is not made for outside. The outdoor weather may wear and tear it faster. We hope this information will be of help to you.